Replacement sink baffle for all InSinkErator® Evolution Series® disposers. The Quiet Collar® Sink Baffle helps reduce disposer noise, prevents food and water from splashing upward and is removable for easy cleaning. 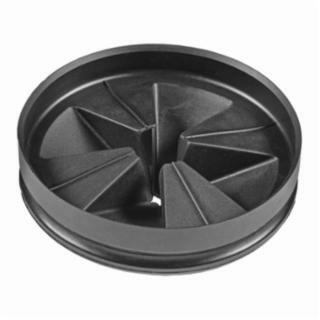 The antimicrobial feature of the baffle helps to inhibit growth of odor-causing bacteria. Not for use with Badger disposers.